Are you tired of seeing the same door type in Minecraft? 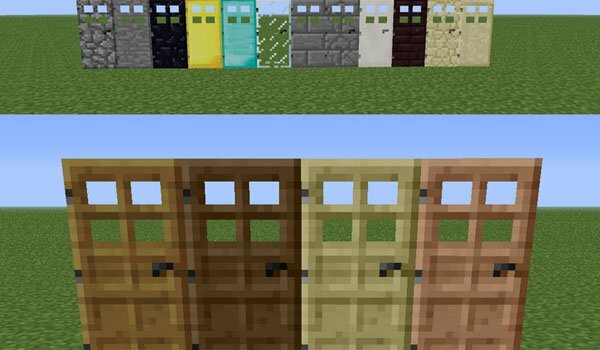 Extra Doors 1.7.2 and 1.6.4 is a mod that allows to go beyond the production of wooden doors or iron. It first allow you to use four types of wood to get four different door color. Secondly, you can create new doors from new materials, so from now, your doors can be from obsidian, stone diamond, crystal, gold, quartz, sandstone, and others!! How to install Extra Doors Mod for Minecraft 1.7.2 and 1.6.4? Now you can have doors of different materials!